It seems like not too long ago when I didn’t know anyone with cancer and then it seemed to hit, like summer here in Seattle…One day it’s 50 degrees and raining, and the next, boom, it’s hot and sticky summer weather. All of a sudden all around us, just like, for me, cancer. In 2011 though it was my turn. First, some background: After a birth defect necessitated a kidney transplant; my father donated a life-saving kidney to me in 1995, I have been blessed with pretty-darned good health. So much so that I was training for the RSVP (Ride from Seattle to Vancouver and Party) bike ride with Paul (we did STP (Seattle to Portland) the previous year) when, after a 100 mile training ride I didn’t feel well. Of course, you might think that after 100 miles on a bike, most people would feel crummy; but it wasn’t just being tired and sore. That night I couldn’t get warm and watched as my temperature started to climb, up to 101, then 102, an finally 103. Now, as a transplant recipient you can think of two causes of a high fever; infection or rejection. So a trip to the ER was an absolute necessity. Here we were back from a trip to Europe, where Paul had just proposed to me, and now it’s off to the emergency room with my new fiancé. After an initial evaluation, I was told I most likely had a kidney infection and they ordered an ultrasound. I was hospitalized and, when the results of the ultrasound came back, the doctors started saying they saw something, but they couldn’t really determine what it was and wanted my infection to die down a bit before confirming a diagnosis. I don’t remember when the “c” word was uttered for the first time, but I do remember getting the phone call in the evening at home, from the surgeon telling me that I had cancer. It hit me like a brick. Kidney cancer really only responds to one thing, surgery– to remove the tumor. As someone who carefully guarded her only kidney, the last thing I wanted was for it to be cut into. However, I certainly didn’t want to walk around with cancer–does anyone–so the surgery was scheduled. My surgery was successful and I recovered just fine. Now when you have cancer surgery you think, well, that’s that; they cut it out! No more cancer for me, let’s celebrate! It’s such a downer when you go for your one year check up and the doctor says, let’s do a chest x-ray because that’s where this kind of cancer goes next. Well, so far so good, no cancer in the kidney or the lungs and my follow-up will only be the chest x-ray and my prognosis is good. Bullet dodged. Of course another cancer scare has come & gone since then… Just recently an innocent enough looking line on my fingernail was biopsied and luckily did not turn out to be melanoma. It did require the removal of my thumb nail and a few days of quite a bit of pain, but the melanoma-free diagnosis was worth it. But both Paul and I know plenty of people going through similar, even more challenging cancer scares and long-drawn out battles. 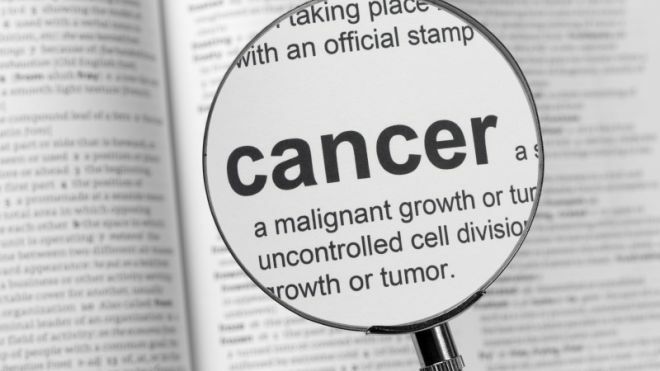 Nothing makes you feel more vulnerable than cancer because it never seems to go away, you feel like it’s always lurking. It’s easy to not think about cancer and donating for the cause when you aren’t affected personally by it. But when you or a close friend or relative gets cancer, you can no longer ignore the fact that it’s a real and horrible disease. It also makes you want to rid the planet of cancer. And that’s what the researchers at Fred Hutchinson Cancer Research Center where Paul works are trying to do. This is why I believe so much in Obliteride. And why Paul is riding in Obliteride, why I am volunteering, and why we are donating to the cause as well. Please consider donating to Paul’s Obliteride campaign. And because I believe so much in the cause, Paul and I will match all donations between now through Sunday, July 7th, up to $500 dollars total. And because I work for Microsoft who matches donations at 100%, any money you donate will therefore be tripled! How’s that for some incentive to donate today? Post Script: Suzanna’s challenge raised $550 so we matched it with the limit of $500 which Microsoft will match again. Thus, her challenge raised at least $1,500 (not counting the fact that some of the donors also worked for Microsoft and will be submitting their donations for matching as well). I am part of an amazing event that we are holding in October 2012 in the Seattle area: Seattle GiveCamp. I have written about our upcoming event elsewhere. Please take a look at the post and, if you are a techie living or working near Seattle, please consider volunteering. I guarantee it will be worth the effort. While I am currently knee deep in planning this year’s event, I will not be onsite at this year’s Seattle GiveCamp weekend, because I am marrying my soulmate in Tuscany the week before and we will be on our honeymoon at the time.